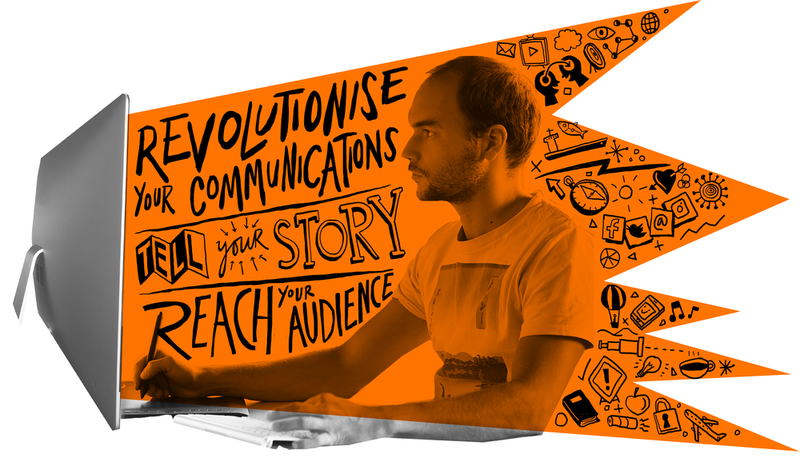 Scriberia are world leaders in visual thinking, working and communication. 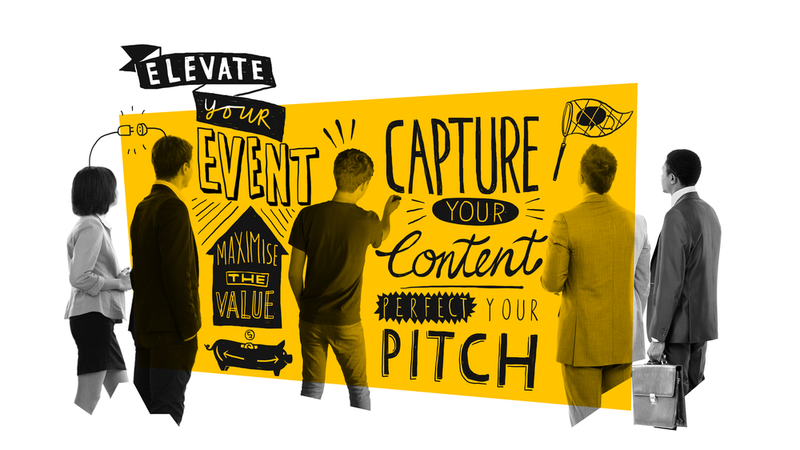 A highly-regarded illustration agency, whose services include live and digital scribing, whiteboard animation, graphic facilitation, visual thinking, creative problem solving, and bespoke workshops. We help our clients to think, work and communicate in a visual world. After having so much fun helping to promote the previous edition, we were delighted that Harper Collins were keen to have us on board again for the launch of the 13th Collins English Dictionary. Hypoparathyroidism is a rare condition where the parathyroid glands, which are in the neck near the thyroid gland, don’t produce enough of the parathyroid hormone. Find out more about its impact and treatment. Global agriculture faces unprecedented challenges. Critical to overcoming these challenges is conserving the diversity of the plants and animals we farm. Our animation for Crop Trust explains how genebanks are part of the answer. Our new animation for Greenpeace reveals the devastating impact of krill fishing on the Antarctic food web, threatening the existence of everything from Adelie penguin to great whales. Binge-watch, dad bod, Corbynomics… do keep up! Update your vocab with our gifs for Collins' dictionary's Word of the Year competition. Sky Academy select ten English and Irish athletes, to take part in their Sports Scholarship programme and help them achieve on the international stage. This animation was commissioned by Penguin Books to launch their ingenious summer reading recommendation tool. The Cifas team were proud of having formed an organisation where co-operation between businesses who wouldn't normally work together was at the core. Engineers, HTS, needed an animation that reflected the dynamic approach of their practice for their 10th anniversary. We sketchnoted the Age Friendly Museums Network's thoughts on creating a healthier culture around ageing in the UK. We’re very proud to have played a part in the powerful and important Bedrooms of London exhibition, currently on display at the Foundling Museum, raising awareness of the estimated 700,000 London children currently living in poverty. Our co-founder Dan likes a laugh. And over the years he’s realised that humour is seriously useful when it comes to cracking a creative brief. Check out his top tips for using humour effectively and responsibly at work. Have you got a visual thinker in your life? Are you a daydreaming doodler struggling to know what to ask Santa for? Allow us to help you out. Our tribute to legend of visual storytelling, Stan Lee, creator of Spider-Man, the Fantastic Four, the Incredible Hulk and countless others. We were asked to visualise the delicate relationship between Tate Modern and its neighbours, those that live and work in the area immediately surrounding the huge and ever-expanding gallery. Our workshops are designed to support non-artists to gain the tools to work, create and communicate better through drawing and visual thinking. Sounds great right? But how do you make the case for funding? Can you improve your drawing skills by wearing an oven glove? Or drawing behind you using a mirror? Only one way to find out… Ink, Think and Drink! What does versatility mean to our co-founder Chris? He explores this rich theme in the form of an autobiographical animated GIF. Over the years we’ve noticed how often a recent experience or learning emerges from the shadows of our consciousness and provides the key to unlocking the problem at hand. Creative Director Dan explores how the simple art of drawing can enrich the creation and dissemination of knowledge. To honour his incredible life and work, we share with you our animation that explains some of Stephen Hawking's most mind-bending theories. Fake news, echo chambers, augmented realities; the only thing we know for sure these days is that the very concept of ‘knowledge’ is more precarious than ever. MediaCom are a content and connections agency, who specialise in optimising communications systems for their clients. Crucial to their work is the ability to generate and communicate creative ideas at pace. All the evidence suggests that we should be investing more, not less, developing our creative skills. So why are 90% of schools reducing their investment in creative subjects?" In the world of event management, the ability to offer innovative and memorable experiences remains key to keeping clients, year after year, and staying ahead of the competition. Scriberia's creative directors, Dan and Chris, take on the tricky task of selecting their top five Christmas annuals. If you're seeking gift inspiration for the visual thinkers, the doodlers, the do-ers, the design aficionados in your life, may we be of some assistance? From FBI agents to scientists to bankers: How a new creative discipline could boost your career. Why do tech companies love illustration? Companies at the forefront of the tech revolution are turning to an artform as old as time to tell their stories. So, why is illustration a perfect fit for tech companies? QED (Question, Explore, Discover) is a two-day event on science, reason and skepticism that takes place in Manchester every year. If you've ever wanted to know, or had to explain, what scribing is, we made this for you. We know that scribing and its many benefits can be tricky to convey with words alone. That's why we've lovingly crafted this animation; to give everyone a better understanding of what scribing is to us, what it can do for you, and - most importantly - why you'll love it.